When it comes to retirement planning, women face different planning issues as compared to men. Statistically speaking, women tend to live longer, which means that not only do their retirement savings need to last longer, they are also more subject to inflation and possible tax changes which can eat away at their savings. In addition, women are statistically more likely to become caregivers to their children or elderly parents, which interrupts their income. In addition, statistics show that women participate less in retirement plans, draw less from Social Security, and face higher healthcare costs than men. One of the greatest challenges women face for retirement is their possible role as caretakers. Statistics show that it’s more common for women, as compared to men, to take working income years off to care for children as well as to spend time and money caring for elderly parents in retirement. Many Baby Boomer and Gen X women are sandwiched between caregiving roles, caring for senior parents while still raising minors or supporting grown children. Adding to the list of challenges of retirement, recent statistics show that women are also still earning less than men for the same work. This lower lifetime income means that women have less money to put into retirement accounts, not to mention the college funds and healthcare costs that can eat away from their savings. Lower lifetime wages also leads to lower social security benefits, as it is based on the top-earning 35 years of one’s life. Studies show that women, on average, have lower savings when heading into retirement. This can be the result of earnings less money for the same work, possible caretakings years outside of the workforce, and many other factors. Whatever the reason, we must confront the fact that recent statistics show that women enter retirement with lower nest egg balances than men. Most people are aware that women outlive men. For the average man and woman entering retirement, at the same age, a woman will outlive the man anywhere from three to eight years, depending on the study. This paired with the fact that both genders are living longer than ever has many women concerned about retirement. Not only does a longer lifespan mean their retirement nest egg needs to stretch for longer, it also means it is more likely to experience greater health concerns, and with them, greater healthcare costs. Women also are more likely to need to pay for long-term care; while men can more often rely on their wives to care for them as they age, many women over the age of 75 do not have a spouse who can care for them. This is reflected by the fact that a recent study showed around 70 percent of nursing home residents are women. 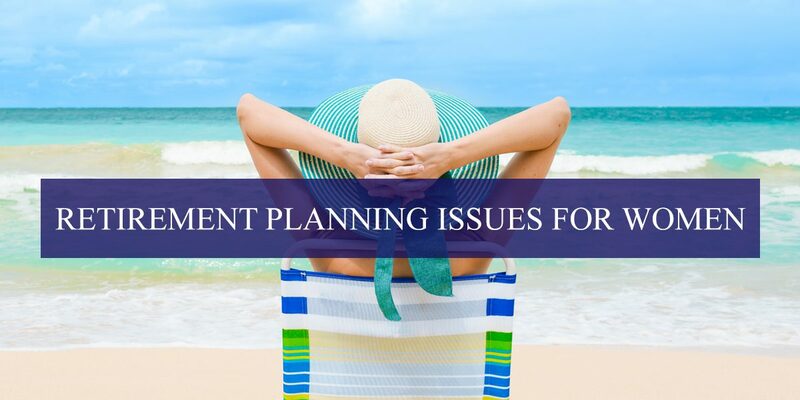 For some, these retirement planning issues may seem difficult to overcome. However, we believe a well-thought-out plan can rectify a lot of these problems. At Advanced Wealth Advisors, we can help you plan for your way to and throughout retirement . If you are a woman in seek of retirement planning in Naples, contact us today!